Huawei just announced two new phones in the form of the P20 and P20 Pro, which we initially (back when rumors began in 2017) expected to be called the Huawei P11 and P11 Plus. Exactly why the company used the new names of P20 and P20 Pro hasn't been made clear in marketing leading up the launch. TechRadar asked Huawei Senior Director of Product Marketing, Steve Lai, why the new names don't directly follow on from the Huawei P10. Lai said, "For us, it's a big jump in terms of the advanced camera systems we're offering the market, so we wanted to distinguish that. We felt a big jump in the name for the device itself would recognize that." That argument doesn't sit entirely right with us though. 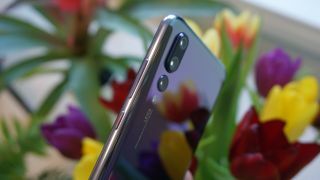 It's true that Huawei has made a big jump on the P20 Pro by offering three cameras on the rear of that phone, but the Huawei P20 offers a remarkably similar camera to the P10. In terms of spec, the rear camera is a very similar setup to both the P10 and Mate 10 range, so why the company has decided this is the time to double the number in the name is a little unclear. The other change is the switch from the name Plus to the Pro name. Although it may make sense as the company already has devices with the Pro name (such as the Mate 10 Pro) the P20 Pro doesn't offer any clear features for professionals that will only benefit people at work.